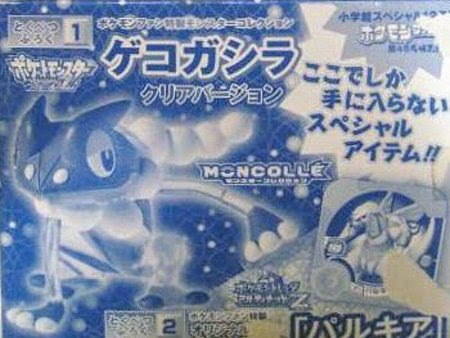 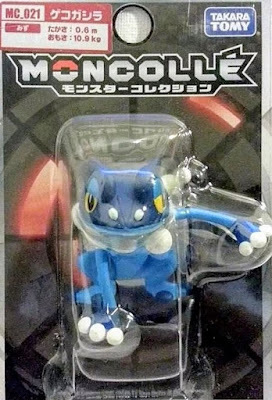 Pokemon figure Takara Tomy Monster Collection MONCOLLE MC series Frogadier ゲコガシラ. 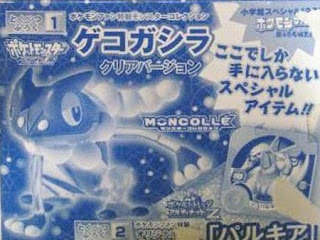 Clear version in PokemonFan magazine Vol 45 attachment. 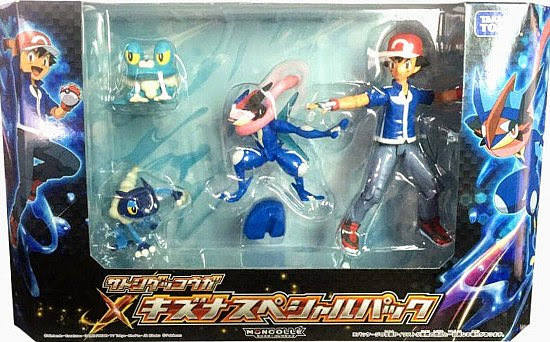 Same pose in Ash-Greninja Bond Special Pack. 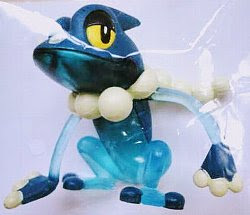 Frogadier in YJ Auction ?